Walmart has announced that this Saturday August 24th they'll have a second wave of next-gen stock available for pre-order. These units will be available for day one pick-up, and the Xbox One on offer is in fact the Day One Edition. Caveats include the fact that you'll have to go to a physical store to do this and that a 10% downpayment is required. Sony announced yesterday that the Playstation 4 had received over 1 million pre-orders, and I imagine that in spite of the Xbox policy kerfuffle that the One isn't that far behind. You can still get the Xbox One standard edition from retailers like Amazon, but in general, stock is depleted across the board, especially for the Day One version. Update: If you want to get your PS4 online (and you should), Amazon/Best Buy/Gamestop are showing as sold out. Target still has bundles in stock. Walmart also has a bundle that gives you some choices. Target still has the Xbox One Day One Edition available for pre-order online, while Gamestop will sell you a Day One Edition if you're willing to go the bundle route. Update: Best Buy also has the Day One Edition available online, and that is the route I would go if I hadn't pre-ordered yet. 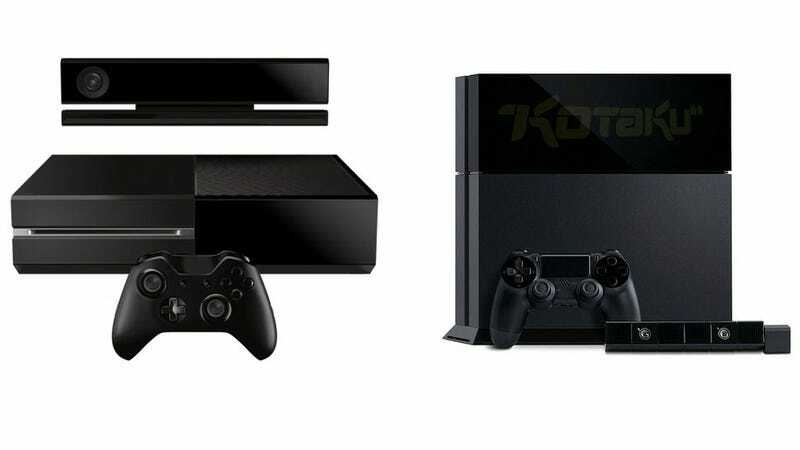 Stay tuned to Kotaku and of course the daily Moneysaver for continued updates on the best places to buy Sony and Microsoft's next consoles.